The stories are fun and imaginative. They are antidotes in the lives of the characters. There was no real story connecting them all together. I did not like certain characteristics Mary Poppins possessed. Her acid tongue, I believe children's questions should be answered. I think they should feel comfortable enough to ask anything and not get a brush off answer. 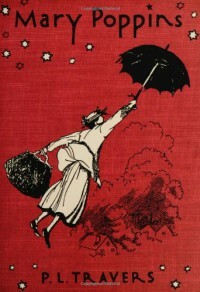 Mary Poppins refused to answer anything the children asked. Mary Poppins spent half of the book looking at herself just to admire one part after another of her wardrobe. It became tiresome after awhile. My favorite characters were John and Barbara. I really enjoyed the chapter devoted to them. I believe that is why I felt so bad for them when they reached their first birthday and lost the ability to hear the language of the wind.